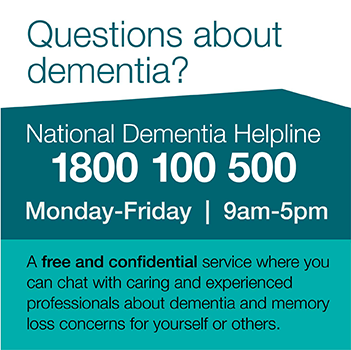 Check below for any current vacancies or send your resume to recruitment@dementia.org.au. Support people with dementia, their families and carers by providing psycho-educational and psycho-social information and support services to improve their quality of life, assist them to achieve individual goals and aid them to continue to live at home for as long as possible. Contribute to Dementia Australia’s mission through delivering high quality education programs to a wide range of audiences including: aged care workers, health professionals, allied health professionals, disability workers and other organisations.